Since one of my daughter’s holiday work obligations was Thanksgiving this year, we ate on Wednesday instead. I was never a great cook, but after listening to my friend’s description of their delicious sounding dinners, I should have ordered ours from Wegman’s after all. It was a pretty boring meal. But it was fun having my daughter here. After we ate, the dogs settled in and we sat and talked. 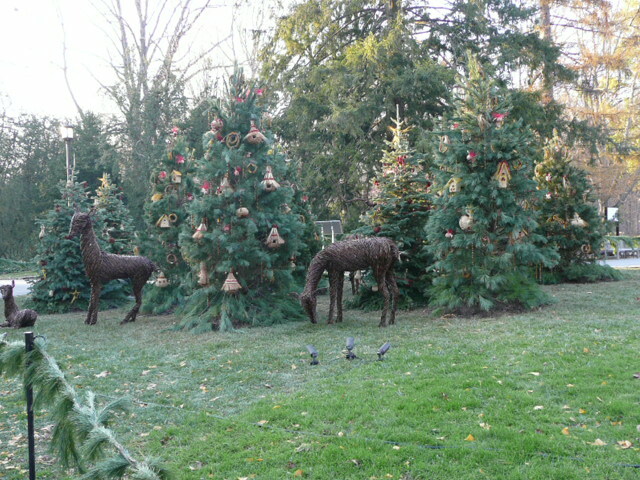 On Thursday, Jim and I went to Longwood Garden. Wow, what a wonderful Christmas display! The lights and decorations are so beautiful. I couldn’t wait to get home to start pulling out all of our boxes of Christmas lights and balls. 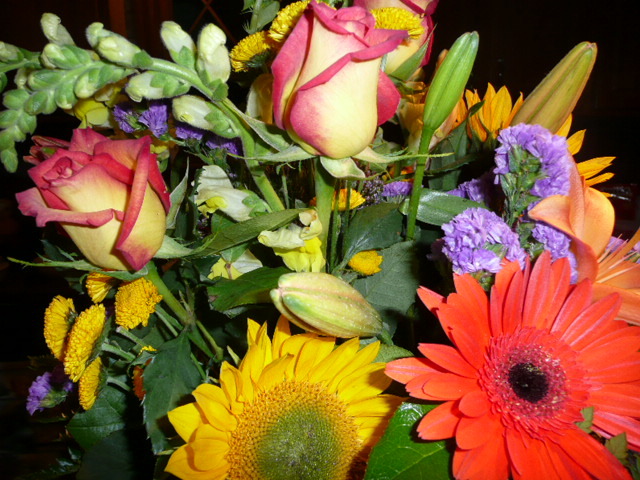 Bouquet from my son and his girlfriend. I have a fairly huge collection of Navtivity scenes which have been boxed away for four years, so those are coming out this year, too. As a matter of fact, I have three fake trees; one that is buried in the barn some where, but will be unearthed tomorrow, a prelit tree I got at CVS last year at the last minute because I felt suddenly I had to make some effort and couldn’t find the other tree, and a little, narrow cedar tree that I just love. All three are going to be decorated. I already have the two smaller ones up and half covered with treasures from the years we raising our kids. I’ve already shed a tear or two. 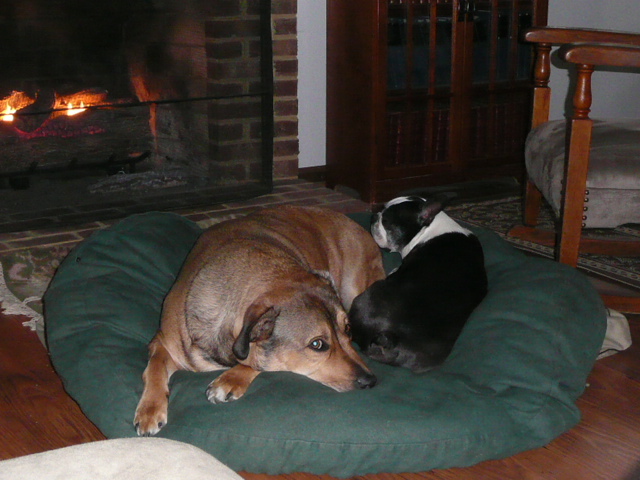 Yin and Yang, by the fire.